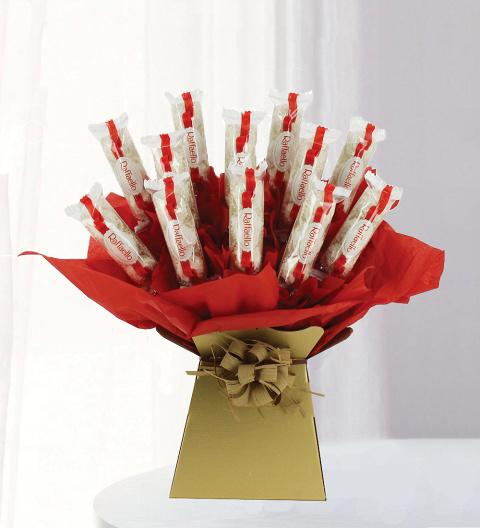 Our Raffaello bouquet is an absolutely gorgeous gift giving that instant WOW factor. Included are over 40 delicious Raffaello chocolates with crisp coconut outers and smooth creamy fillings. They are incredibly delicious and a perfect gift to send for all occasions. Beautifully handmade and artistically presented, the bouquet is available for UK next day delivery.